A solid-top beauty with all the trimmings! 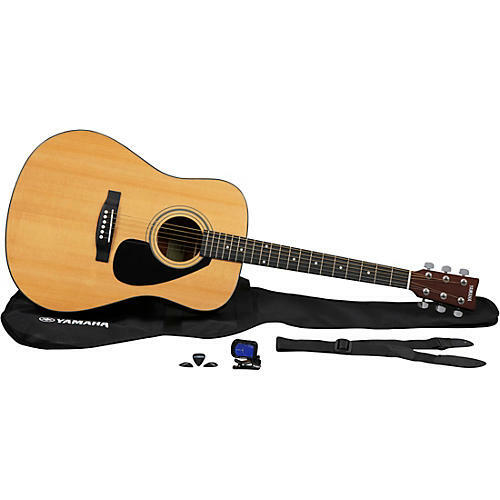 The Yamaha GigMaker Deluxe Guitar Pack is built around the FD01S acoustic guitar with chrome tuners and a solid spruce top for singing resonance and sustain. Includes gig bag, digital tuner, strap, extra strings, and an instructional DVD to get you off to a running start. This is the whole package when it comes to acoustic guitar! Pick it up today and start playing!